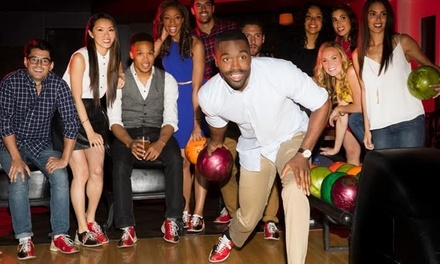 Farbinder | AMF Bowling Co.
Limit 1 voucher per 2-, 4-, or 6-person group per visit. All Sales Final. Not valid until 24 hours after purchase. Advanced reservations not available; subject to availability. Call your AMF location in advance to confirm availability. Not valid Saturdays after 6 p.m. Not valid for contracted group events, birthdays, leagues or tournaments. Cannot be combined with other AMF offers. Must use promotional value in 1 visit. Voucher is valid for one lane per 2-, 4-, or 6-person group. Valid only at listed locations. Limit 2 per person, may buy 2 additional as gift(s).